In a low interest-rate environment, investors are tempted to seek elevated returns. At first sight, CoCo’s might be exactly what they are looking for. Yielding on average 7%, these bonds easily defeat traditional bonds. But this hybrid security doesn’t have the same characteristics as safe securities. Investors should not be caught off guard because of the word ‘bond’. The popularity of these financial instruments is rising, especially in China, which now issues most of them. What’s their purpose, dangers, advantages and overall effect on financial stability? Let’s find out. What are Contingent Convertible bonds? CoCo’s are bonds which offer a slightly higher return than normal ones because of convertibility. Contrary to ordinary bonds, which are fairly safe for investors thanks to a well-defined set of rules, Coco’s can be converted into equity when triggered by a certain event. Even worse, they can be written off. These hybrid securities instantly absorb losses when the capital ratio of banks fall below a certain threshold, or when triggered by other events. A discretionary trigger could be harmful for the company issuing the CoCo’s, defeating the entire purpose of the instrument all together. A discretionary trigger means supervisors force the company to initiate the conversion. Supervisors would only request such action if they feel the firm is becoming insolvent. This could obviously worsen the situation by causing panic among investors. The book-value trigger takes into account measures of the CET1 (Common Equity Tier 1), which in essence measures the bank’s core equity capital they need to remain solvent and adequately capitalized. But as many of us know, banks can be quite creative when it comes to accounting. Simply cooking the books, postponing conversion, can entirely defeat the idea of CoCo’s being ‘a safety mechanism’. Too little too late. Market-value triggers could spark massive market manipulation, either by competitors, banks themselves, or bondholders. Conversion would occur if the market cap/assets ratio drops below a preset level. Bondholders could short the stock until this threshold is breached (making money on the way down) and simultaneously receive very cheap stocks in return. Why would you give anyone the incentive to do such a thing? As shown in the infographic, CoCo’s can either convert into equity (shares) or be written down. Both have similar effects, but let’s focus on the former. Obviously, the bondholder is no longer a bondholder: he becomes a stock-owner. Most major banks pay out dividends, so one could state it is still a fixed income instrument in a way. But conversion will only be triggered when the bank is in trouble, so dividends will most likely be cut. Secondly, the individual now has a position in a company that’s not doing that well at all, whereas bonds are supposed to be safe no matter what (to a certain extent). Initial shareholders are not spared from havoc. When x amount of bondholders turn into shareholders, their position is diluted. Profits are now divided among more people. Fearing the dilution of their position, some might want to leave early (when sensing trouble), only aggravating the financing problems the bank had to begin with, and at the same time making conversion more likely by pushing down the stock price. With the new Basel III norms coming into play banks will need an adequate capitalization base. CET1, which consists of common shares and retained earnings, will need to cover at least 4,5% of RWA (risk-weighted assets). In addition, in 2019, financial institutions have to cover 8% with their minimum total capital. This means 2,5% can be chosen by the banks themselves, and CoCo’s are a way of doing this. If they get triggered, CET1 instantly raises as these bonds are converted into common shares and banks comply with regulations. The disadvantages for both stock owners and bondholders are clear. Stock owners will see their shares diluted and bondholders do not receive the same sense of security normal bonds offer. One of the major systemic disadvantages, however, is the fact that CoCo’s do not address the problem of moral hazard. Banks have no incentive to become more prudent, to the contrary, they have a false sense of security. It’s okay to make bets, because the burden of failure will not be put upon taxpayers, bondholders know what they’re paying for. Investors don’t always understand the risks they are paying for. And taxpayers may still have to pay the price if the bank goes south. It makes no sense to invest in these CoCo’s. If the bank is doing well, bondholders don’t enjoy higher dividends or an increase of the stock price. If it’s doing bad, they will lose value. 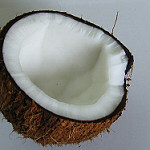 CoCo’s are even banned for individual investors in the UK, due to their risks. There might be a hidden advantage, however. Some major banks are not publicly traded and it is extremely hard for an individual investor to initiate a position. CoCo’s can be used to indirectly get exposure and when triggered, bondholders will turn into shareholders. It’s counterintuitive as you’re rooting for the bank to do badly so you can maintain a stake in it, but in the long term, it could be a viable strategy. 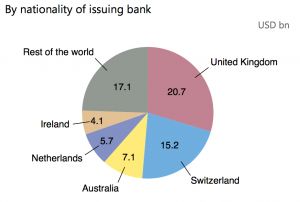 As illustrated in this graph, the issuance of CoCo’s is highly concentrated to certain countries. This picture dates of September 2013. In the meantime, things have changed. Bloomberg reported on 22nd of March 2015 that CoCo’s now represent ¼ of the 200 billion additional capital European banks needed to raise since 2013. The US and China initially used other ways of buffing up their capital such as preferred stock or a hybrid between preferred stock and CoCo’s. Recently, however, Chinese banks have become the top issuers of CoCo bonds, as stated in this article by the FT. In 2014, Chinese banks issued 59 billion US dollars of CoCo’s. One of the main buyers of these CoCo’s, Pimco, says it shies away from CoCo’s issued in emerging markets, stating risks are too high and fundamentals are too weak. Let’s see how the trend evolves. For now, mainstream media has not been reporting much on the use of CoCo’s due to its relative low importance today. But acceptance is growing, especially with 2019 nearing and banks scrambling for creative ideas to boost capital in a deteriorating market (Non-performing loans of major Chinese banks have been on the rise since the stock market collapse and lower economic growth). Especially with increased capital flight out of China, the situation could become worse. More on this will surely follow in new posts. Next Post: [GUESTPOST] To Patent or Not?